The Gist: For the launch of the H&M 2014 Summer campaign featuring super model Gisele Bündchen, H&M wanted to create a unique, press worthy event in Times Square, situated in front of their new flagship retail location and leveraging their new large LED screens. The campaign focused on the concept of “Ultimate Summer Moments” and the campaign assets were captured at various locations throughout Costa Rica. For the campaign H&M also produced an official Summer campaign song, a remake of Blondie’s “Heart of Glass.” The song was sung by Gisele Bündchen and produced by legendary French DJ, Bob Sinclar. 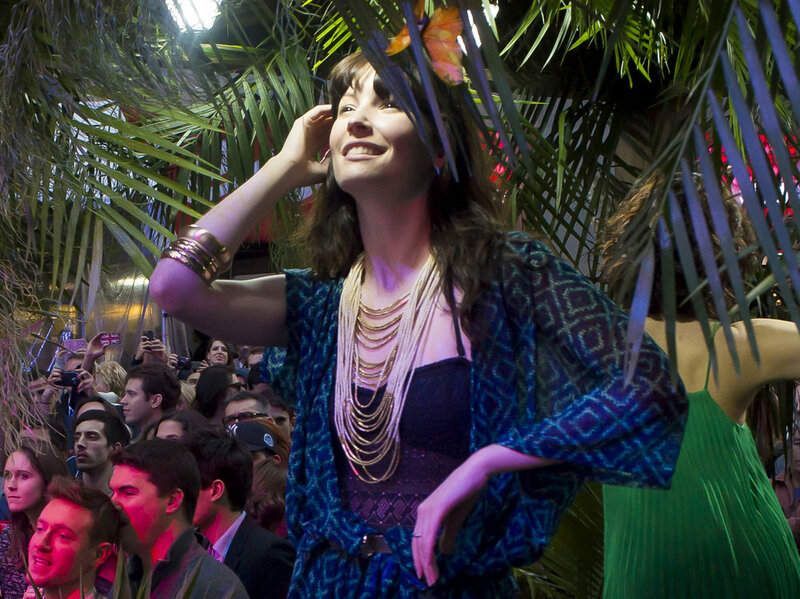 To showcase the Summer Collection in a unique and memorable way, and provide a platform for DJ Bob Sinclar to celebrate his collaboration, we took over a full block of Times Square and created an elaborate set of island vignettes centered around a large stage for the free concert.